Alan Nehemia has exited his role as channel director of Huawei in New Zealand, joining SAP as senior sales executive across the vendor’s database division. Reseller News can reveal that Nehemia leaves the Chinese vendor after four years, having first joined to develop and manage local channel services in December 2014. With a remit to drive new channel supported services, Nehemia soon progressed to senior business development manager within the local subsidiary, focusing on enterprise offerings across server, storage, networking and data centre solutions. In 2016, Nehemia was appointed as channel director for New Zealand, tasked with developing and driving a new ecosystem of alliance and partners across the country. This move was bolstered further by the signing of Exeed as a distributor in the local market, in a bid to deepen enterprise capabilities for the Kiwi channel. As revealed by Reseller News at the time - in September 2016 - Exeed took control of the vendor’s consumer and enterprise portfolios, joining Atlas Gentech as a national distributor across both offerings. Aside from the vendor’s carrier business - which is served by the telecommunications industry in New Zealand - the full Huawei package has allowed Exeed to expand its enterprise potential at a national level. Effective May 2018, Nehemia is now covering database and database management for SAP in New Zealand, in a senior sales executive role. At this stage, it remains unclear as to whether Huawei will replace Nehemia in the role, with the move depending on the vendor’s commitment to the Kiwi channel going forward. Nehemia’s departure comes nine months after the tech giant appointed a new boss in New Zealand, in the form of Yanek Fan, an 11-year company veteran. As reported by Reseller News, Fan replaced outgoing CEO Jason Wu in August following a month-long handover, with Wu shifting to a governance role across Huawei’s operations in Europe. In a bid to further strengthen ties with the local economy, the vendor also pledged to invest $400 million over the next five years in New Zealand, with plans in place to build a cloud data centre and establish Innovation Labs in Christchurch and Wellington. 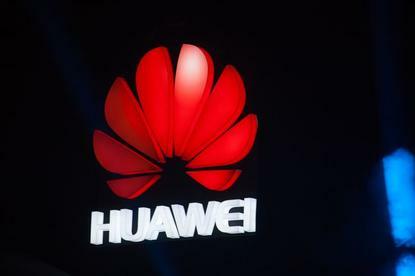 Revealed in March 2017, Huawei will work with local partners to build a New Zealand cloud data centre, with its location at this stage still unknown.